Characteristically the article put its foot in it from the headline onwards. It majored on Morris’s final speculative chapter, on the likelihood of finding humanoid intelligent life on other planets, adding its own hookline about this excluding the saucer-eyed conventional aliens of ET or Area 51 fame. In fact, of course, Morris’s convergent evolution does nothing of the sort, for these stereotypes are humanoid. Presumably what he’s discounting are the monsters of Alien or other things that are Life, Jim, but not as we know it. So as usual we discount the Independent and consider the convergent evolution case in its own right. There are unaccountable molecular conergences across distant taxa that are included under the “convergent evolution” heading. There’s no very plausible explanation of these under conventional Neodarwinian theory, given the apparently enormous search-space of proteins, and little in the way of alternative theory to explain them. A little more comprehensible is the phenotypic aspect, as principally described in the article. Basically, this takes the form that there are only a limited number of ways for evolution to do a given job, so it keeps churning out the same designs. As it happens there was a well-known example of such “convergence” on our patio last week, in the form of a hummingbird hawkmoth, Macroglossum stellatarum. I’d previously only seen one on the Greek island of Skiathos fifteen years ago, and that’s not surprising because it’s a determined migrant from that area and doesn’t survive our winters. Accordingly it is uncommon here, though becoming less so as the climate warms up, or despite it not warming up, if that’s your preferred take on things. 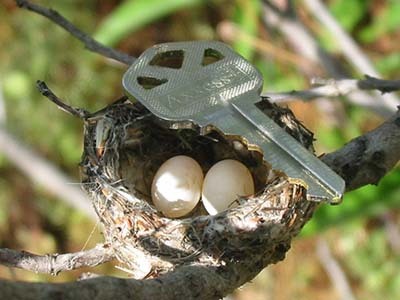 The morphological similarity to true hummingbirds is fascinating, including not only its general visual impression and habits, but even specific details like an unusually good memory (both for birds and lepidoptera) that enable both to remember where to find good food sources for their energy-costly mode of life. 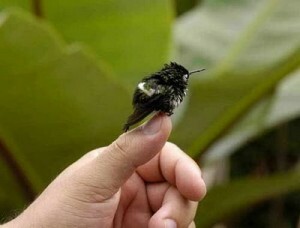 The size is comparable – wingspan is 2 inches, approximately 2/3 of the smallest hummingbird. 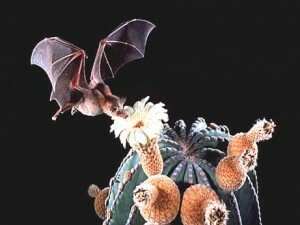 It’s certainly hard to imagine how, given the design-spec for a creature that will feed by hovering close to flowers and sucking nectar whilst doing so, one could do things very differently. Rapid wing-beats, precise stabilisation in flight, sharp vision and so on constrain what’s possible given the “technology” available in the natural world, in much the same way that fast fighter jets are likely to look broadly similar, or most houses to be either circular or rectangular. One might conceive bizarre alternatives involving, say, dirigible molluscs with a hydrogen bladder, but perhaps there are reasons why airships have always given way to wings in nature. Even so, to call these similarities “convergent evolution”, in the absence of complete explanations, is to make some big assumptions. For example, if the creatures all arose by special creation, then exactly the same physical constraints would apply given the materials and environment God chose to use. Natural selection is conceived, after all, as a design substitute: in either case one expects species to suit their environment. The hummingbird cares for its young, and presumably its experience of life is as different from the moth’s as you’d expect a sparrow to differ from a cockroach.Likewise, the moth has four wings to the bird’s two, and does the same job with compound eyes that the hummingbird does with camera eyes (the last being one of Morris’s “must haves” for an intelligent species). These things do not make the similarity, or convergence, illusory, but does mean one ought to look beyond the simple idea that nature keeps re-designing the same things from whatever types happen to be around. Thomas Nagel didn’t write about being a nectar bat, but you can bet that its “being”, with a mammalian brain, is pretty different from the hawkmoth with its segmental nerve ganglia. And the same is true if there might have been “hummingbird pterosaurs” back in the Cretaceous. The differences are at least as important as the similarities. And that’s one reason I see no compelling argument that Simon Conway Morris’s speculations about the likelihood of humanoid aliens should be true: it is pretty uncommon for “convergent evolution” to produce features that are similar across the whole range of a creature’s existence. This isn’t particularly a religious objection, based on a belief that man could only exist on earth. Though the default Fundamentalist position is geocentric nowadays, in earlier generations the principle of plenitude made life on other worlds seem almost a certainty to many Christians – but not, usually, humanoid, as the creative gaps to be filled were mainly between us and the angels. ET life would be far higher than us. The idea that nature (under God – for Simon Conway Morris is a Christian) would repeat itself almost exactly on other worlds, especially when it came to intelligent beings, doesn’t reflect what “convergent evolution” shows in real life, does not really follow even from Darwinian evolution, and certainly isn’t a theological necessity. As I’ve said before, making any argument for convergence based on mankind is both scientifically and theologically flawed, because there is, and as far as we know only ever has been, one example of a truly rational creature on earth. One may argue about the status of hominins like H. neanderthalis and H. erectus, but in any case they are nothing to do with convergent evolution: at most they are stages in our own recent development. As the hummingbird-type shows, there have been raw materials for parallel bauplans for tens, if not hundreds, of millions of years. Dinosaurs were warm-blooded, feathery, intelligent and cared for their young. Naturalistically it was only a stray asteroid that emptied their niches for mammals and true birds to fill. Yet nothing remotely like man has ever appeared. The most intelligent creatures trotted out as examples of brain-power – dolphins, octopi, perhaps ravens – have nothing else in common with us, even in their habitat, and do not begin to compare mentally with us – let alone in the spiritual dimension which ought to be taken, by any Christian, as the truest mark of humanity. Besides, it’s simply untrue that the existence of a niche – whether that’s a vacancy for a hovering nectar-feeder or for an intelligent tamer of creation – guarantees its existence. 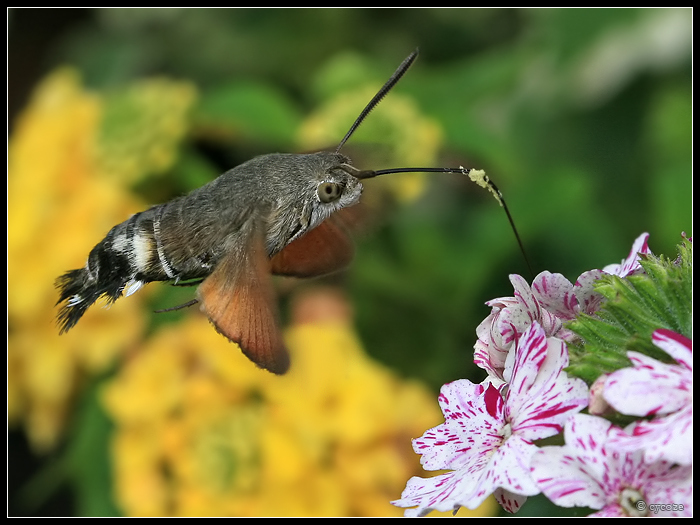 I’ve written about the hummingbird hawkmoth for the very reason that it’s rare – to the extent that I reported the sighting to a national project using its occurrence in the UK as a possible marker for climate change. It was once even rarer. 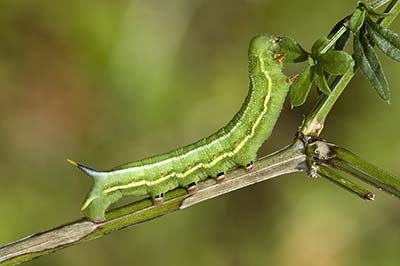 And although we have plenty of flowers capable of supporting that feeding style, we have to import Mediterranean moths if we want the job done.